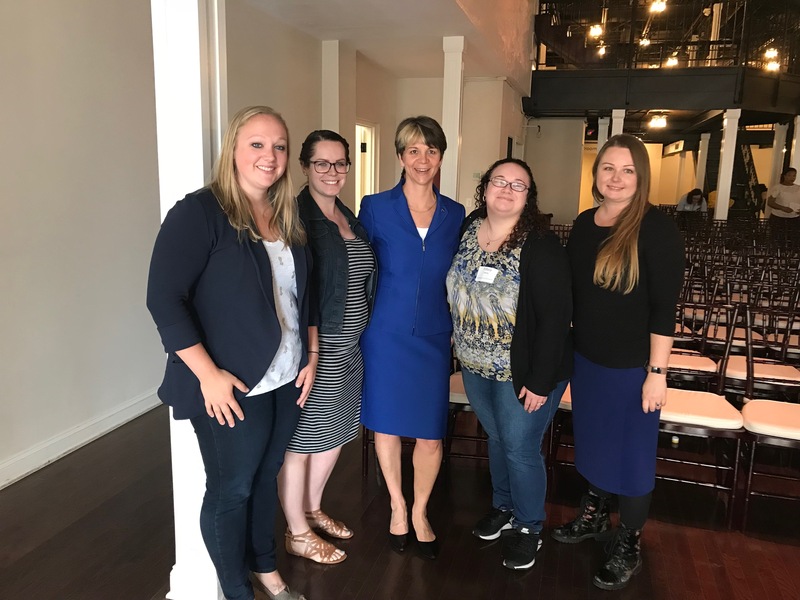 For this quarter’s Women in Technology meeting, several team members from Issuetrak attended and were able to hear a talk by Renee Wynn, Chief Information Officer of NASA. While most of us understand what NASA is and have a general idea of what the team at NASA does, Wynn provided extraordinary behind the scenes insight. In her time as CIO, Wynn has seen some incredible things, including multiple rocket launches and extravehicular activity (also known as EVAs or spacewalks) by the astronauts. One of the fascinating NASA-specific items Wynn discussed was TESS - the Transiting Exoplanet Survey Satellite monitored by the James Webb telescope. It is a “planet hunter” slated to survey 85% of the sky, finding thousands of new planets. Wynn also explained how NASA telescopes are inspired by origami, the Japanese art of paper folding. The telescopes are folded up and put inside small areas inside rockets and need to be gently unfolded once in space. That makes design extremely important in this situation, as well as many others at NASA. Renee Wynn, NASA CIO, center, with the attendees from Issuetrak. There are three main takeaways Wynn highlighted. While speaking specifically to women, they can easily apply to everyone. With everything NASA invents, they aim to give the technology back to the community at large. When the technology to keep astronauts cool was invented, that same technology is now used to help keep babies cool in the event they get overheated. NASA also invented the process used to keep Oscar Awards shiny and gold. Have you ever used an ear thermometer? NASA invented that technology too! Regardless of our occupation or industry, we can strive to make our communities, our nation, and our world a better place. While that might not mean inventing life changing technologies (although it could! ), it might be as simple as volunteering with a local charity or getting involved in a mentorship program. Wynn also discussed dealing with feedback. “Feedback is good” she says. When in a situation where you have a superior, or someone with more experience, they can provide you with feedback that allows you to learn. Wynn continued, “Always have a learning mindset. Listen, then speak”. When you continue to learn, you continue to grow. While several young STEM (science, technology, engineering, and math) students were in the audience, the concept of constant learning can apply to everyone. Wynn gave so many great pieces of advice to the audience, but one of my favorites would have to be “Fake it until you feel it, then you will be it”. Achieving your dreams is all about believing you can. This is an excellent message for the young girls there with the student STEM program, but also for the adults in the room who may have forgotten how to believe in themselves.